Two weeks ago, Redditor fiscal_ asked if anyone knew how to get in touch with Bungie, the creators of Halo. His son, a big Halo fan, had just received a liver transplant, and fiscal_ wanted to cheer him up with some sort of Halo-themed gift. It worked. 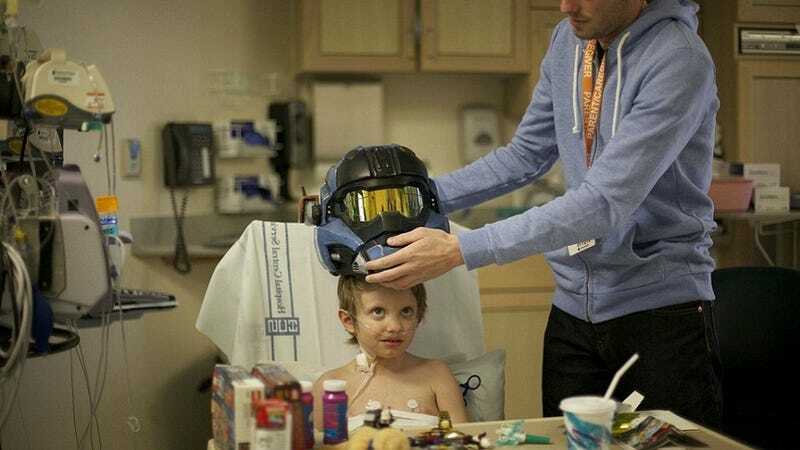 Yesterday, fiscal_ came back to the Halo Reddit to show off pictures of his son recovering from the surgery with his brand new Spartan helmet, thanks to the folks at Bungie (and their non-profit branch, the Bungie Foundation). For more pictures, check out fiscal_'s gallery.